How can I remove the bad reviews with low rating star? Somehow, there will be bad reviews, you can simply remove it. 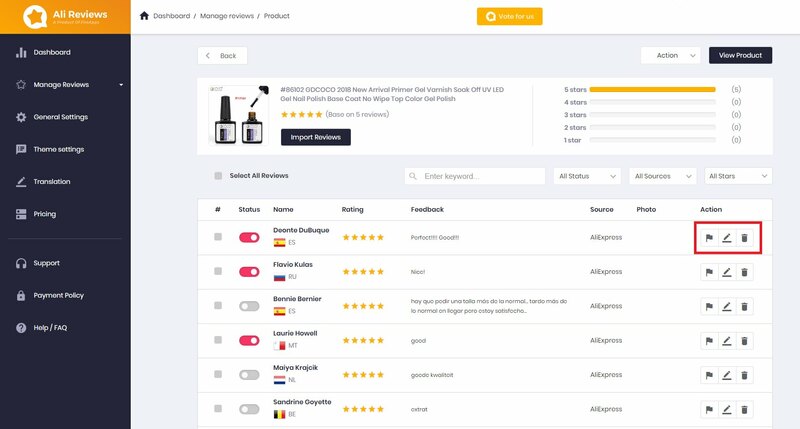 Go to the Manage Reviews > Search for the product that you want to edit or delete its reviews > Click on the name of product to open a manage reviews window of that product. Here you can Edit/Delete/Pin to top reviews. Select the number of reviews. Filter reviews with all rating stars or only generate reviews with 4/5 stars. Only get reviews with pictures and content. Or use filter reviews with keyword.